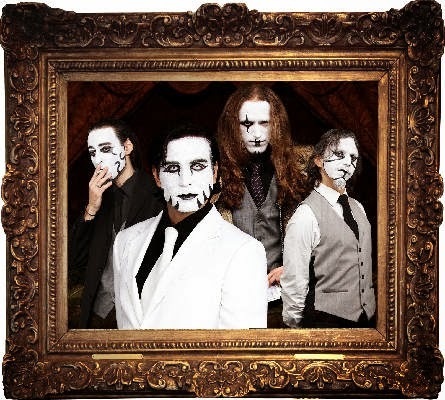 Calatrilloz are a London based concept band whose music is composed around a tale, "The Marionette's Theatre", where a bunch of supernatural beings ( the band members) search the world for the possessed string puppets and their power within. By infusing a story, and their images/disguises (which don't come across as a gimmick but rather add to the mystery and intrigue of this interesting unique act) they have created their Operatic blend of Symphonic Metal and Progressive Rock! The band have been around for a while now but they are back with two new singles ready to draw in a new crowd!.. The first new single is, 'Lords Of Misery' which has a dark and dramatic theatrical opening...as you might expect! It has creepy vibes which are created through the use of superb and varied vocals backed by a massive sound through the instruments, which cleverly give the impression of tension rising with a dark brooding sound. The song picks up the pace making for a very dynamic and diverse song with lots of tempo changes and effortless transitions! 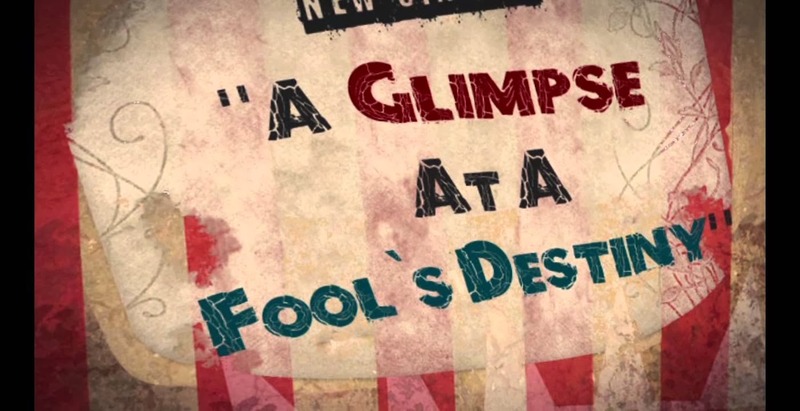 The second new single as above, 'A Glimpse At A Fool's Destiny' has an eerie opening like a horror soundtrack and quite fittingly tells a tale of a boy named Johnny and his journey to hell! There is a great elaborate mix of instruments which are heightened by Zahyin's high vocal delivery (and effective dramatic backing vocals) along with complex instruments to accompany. Again the tempo changes help unravel the story and demonstrate the bands technical ability and musicianship, making you hang on to every mood and note change..this one will draw you in! This theatrical act really strive in their impeccable composition and use of progressive elements and heavy metal, all of course with a delightful and dark flair of creativeness through their operatics! Each song you can immerse yourself in the story and envision it - and soon you will be able to witness it with you own eyes as let's face it these songs are begging for visual performances! The band have released a teaser for their upcoming video which you can see below! For fans of: Horror Films (Nightmare Before Christmas), System Of A Down, Queen, Marilyn Manson, Something a bit different!